Suggested Use: As a dietary supplement, take one scoop (1 gram) with your favorite food or beverage once per day. Scoop included. Vitamin C increases the assimilability of non-heme iron, which is an important piece of information for vegetarians and vegans, the diet of whom is poor in well-assimilable heme iron. 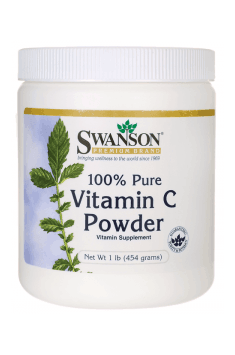 Some drugs, such as aspirin, increase the need for vitamin C.
Standardised grape seed extract. Provides cardiovascular support.